The F-One Signature Series has sat alongside the immensely popular Mitu Pro Model for some years. This is a very much more surf-orientated design with a thinner outline, thumb tail and quad fin set up; it is strikingly different from the Mitu range in terms of shape. The Signature Series is Raphael Salles’ go to board when he is wave riding and if you have ever seen him ride you will know it is all about big waves and deep gouging carves. The rails have plenty of tuck on them to improve carving ability, and there is lots of tail rocker too. The narrower outline is designed to make rail-to-rail carving a breeze, and the quad fins at the back should offer plenty of drive through the turns. As ever the build quality is second to none and this year, like the Mitu, the Signature Series comes in their popular HD Foam Flex Construction and a new Carbon Construction; both offer a good amount of flex married to some impressive durability. 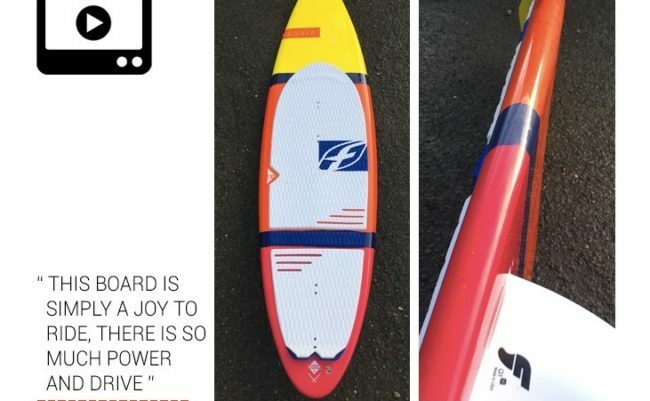 We’ve got the standard HD Foam Construction on test this issue and the 5’10, the larger of the two boards in the range. Interestingly both boards have the same width and almost identical volumes of 21 and 22L. If you like carving sleek top to bottom turns on the wave the Signature Series is for you. This board excels at gouging smooth lines all over the wave. Suited to bigger surf there really is no limit to the size of the swell this board can handle. On a huge day at One Eye, this sled will be happy cracking down the line at over 20 knots while keeping things under total control. The Camel Deck keeps your feet planted but also lowers the center of gravity for increased control while that thumb tail ensures you maximize every carve. The quad fin set up is placed for speed, and this board has shed loads of it. In choppy blown out conditions where the Mitu can sometimes start to bounce a little, the Signature Series continues to hold things down with massive amounts of control. It’s the perfect stick for windy locations such as Cape Town where you might be riding a powered up 5m kite. As we mentioned earlier, big waves are where this board shines, but if you aren’t blessed with those don’t write the Signature Series off. Rail-to-rail carving is what this board is all about and if you want to lay down a flat out carve in a super stretched out style this board won’t trip an edge, lose grip or do anything other than push right back at you as it chucks buckets of water from underneath. The concave bottom keeps things comfortable in the chop while the slight V tail section again aids the rail-to-rail carving characteristics. 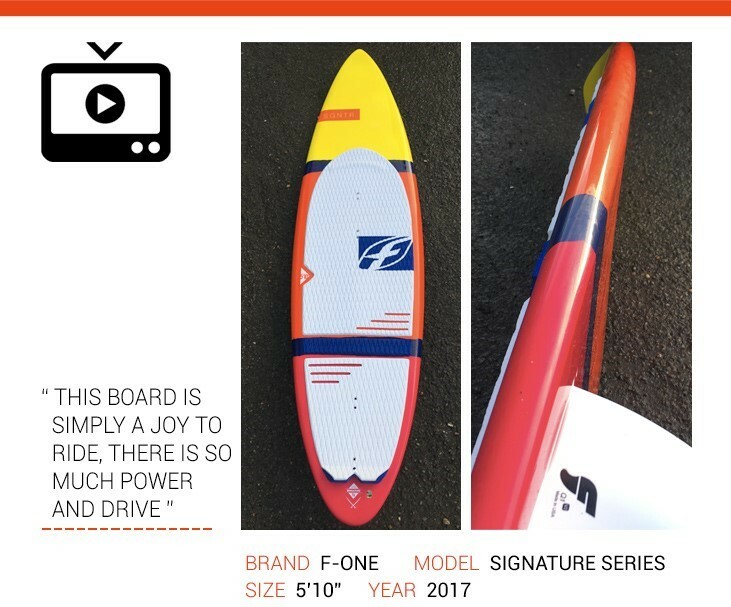 In a decent swell, this board is simply a joy to ride, there is so much power and drive, and it instills confidence in the rider encouraging you to push harder and faster into your turns.